A sprout is produced when a seed starts growing into a vegetable. Sprouts can grow from the seeds of vegetables, grains, legumes, buckwheat and beans. Sprouts vary in texture and taste. Some are spicy (radish and onion sprouts), some are hardy and often used in Asian cuisines (mung bean); others are delicate adding texture and moistness to salads and sandwiches. There are many reasons why we should eat sprouts. As we age, our body’s ability to produce enzymes declines. Sprouts are a concentrated source of the living enzymes that is lost when foods are cooked or not picked fresh from your own garden. Due to their high enzyme content, sprouts are much easier to digest than the seed or beans from which the came. Sprouts are also a nutrition power house. Why should we eat sprouts? Aren’t fresh vegetables and fruit enough? The answer to these two questions lies here below; The National Cancer Institute and the National Institutes of Health both recommend eating 5 fresh fruits and vegetables every day. A great way to help reach that goal is to include sprouts. Alfalfa sprouts have more chlorophyll than spinach, kale, cabbage and parsley. Alfalfa, sunflower, clover and radish sprouts are all 4 percent protein. Compare to spinach 3 percent, Romaine lettuce at 1.5 percent, Iceberg lettuce at 0.8 percent, and milk at 3.3 percent, meat is 19 percent and eggs are 13 percent protein, soya beans sprouts have twice the proteins of egg, Radish sprouts have 29 times more vitamin C than milk. Alfalfa, radish, broccoli, clover and soybean contain concentrated amount of plant compounds that can protect us against disease. Amino acids found in alfalfa, demonstrates resistance to pancreatic, colon and leukemia cancers. Plant estrogen in these sprouts function similar to human estrogen but without side effects. They increase bone formation and density and prevent bone breakdown (osteoporosis). They are helpful in controlling hot flashes, menopause, PMS and fibrocystic breast tumors. Alfalfa sprouts are one of the finest sources of saponins, a chemical that lowers bad cholesterol and fat not the good cholesterol and fats. Saponins also stimulate the immune system by increasing the activity of natural killer cells. 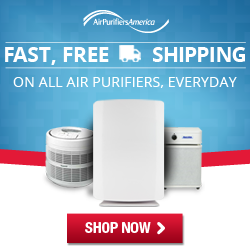 They also prevent DNA destruction. If interested if producing sprouts, inexpensive sprouting kits and seeds are available online and health food stores. Buy only certified organic seeds, grains, legumes or beans for sprouting. Buy them in small quantities, and keep them refrigerated prior to sprouting. Regardless of the source, do not use seeds that have been treated with a fungicide. Treated seeds are not edible and can be recognized by the coating of pink or green dust on the seed coat. 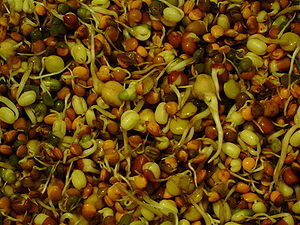 For more information about nutritional value of sprouts, go to www.isga-sprouts.org. Kevin Brown enjoys writing for blogs about health, fitness and nutritional related topics. When he isn’t writing for the various health blogs out there, he’s active in sports and just about anything outdoors. He’s a supporter of LifeStrength balance bracelets and frequently writes about the benefits of Syionic90 technology.